The next steps will enable the payment processor. To access these, click Settings > Card Options. 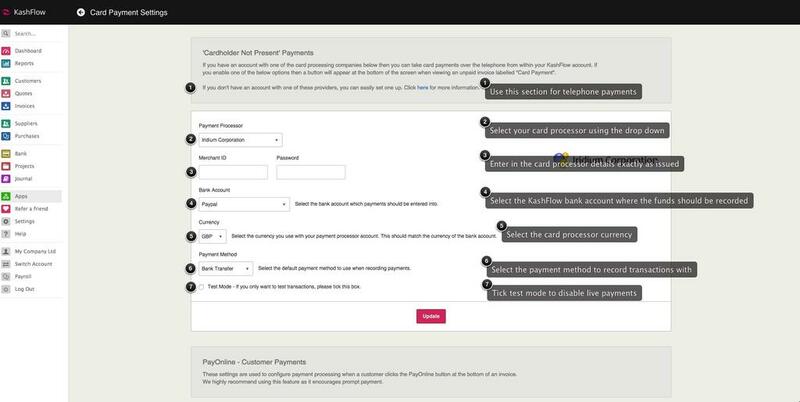 The options at the top of the page under the header “Card-holder not present payments” are for telephone payments, use this section. The section at the bottom labelled Pay Online is for a Pay Online button to appear on your invoices.